The Coelacanth is a fish thought to have gone extinct over 65 million years ago until a living specimen was caught by commercial fishermen in 1938 in South Africa. In the 80 years since its discovery, scientists have learned a great deal about this living fossil. 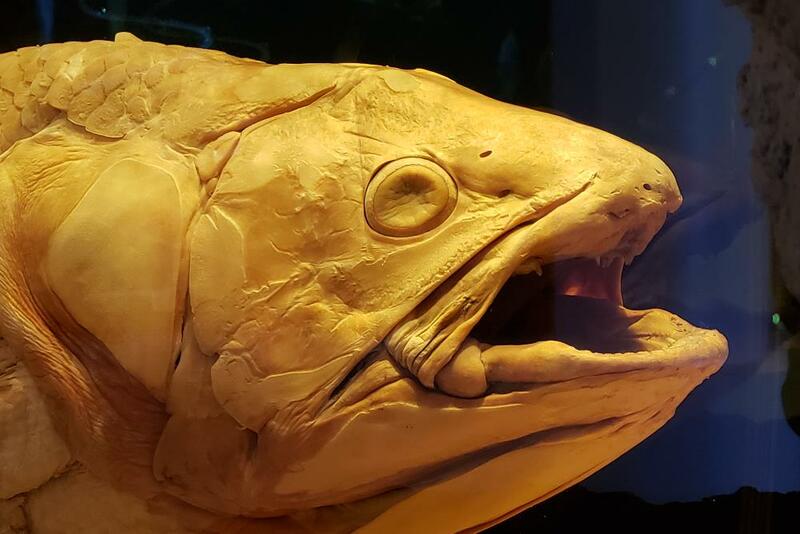 Join Dr. Eric Hilton, Curator of the VIMS Nunnally Ichthyology Collection, as he tells the thrilling story of the Coelacanth, from its fossil record to its unlikely discovery, where it lives, what it eats, and why it is thought to be more closely related to four-legged land animals than to other fishes. The coelacanth specimen from VIMS' collection will be on display, providing an opportunity to view this rare and fascinating fish. This is the March installment of the 2019 After Hours Lecture Series. Reservations to this free, public lecture are required due to limited space. After Hours lectures are designed for an adult audience. Call 804-684-7061 for further information.